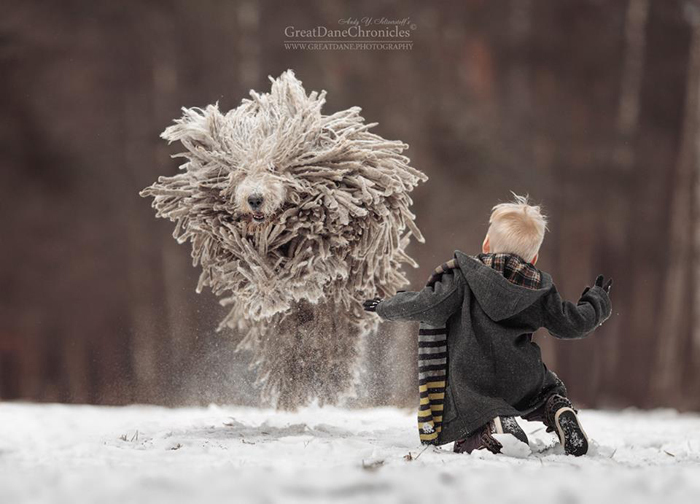 This Massive Furry Dog Playing With A Kid Is Too Cute For Words! 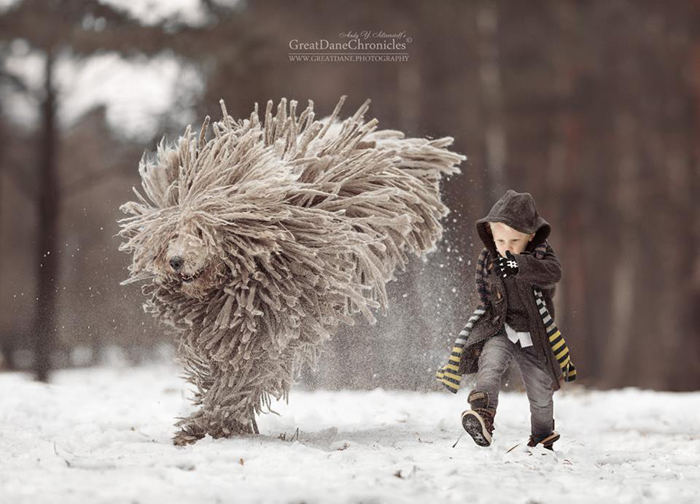 Get ready to see the cutest pictures of a child and his over-sized fur monster- they will make your day. When it comes to dogs, they come in all shapes, sizes and colours. Some tiny, some big, some fluffy and some rough, each dog breed has its own special features. But one thing is for sure, we love those four-legged beautiful creatures. 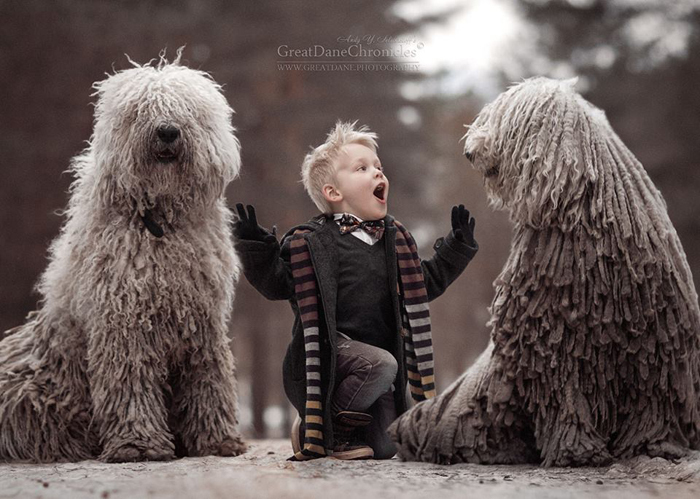 Hungarian Sheepdog is one of the most stylish breeds of dogs there is. 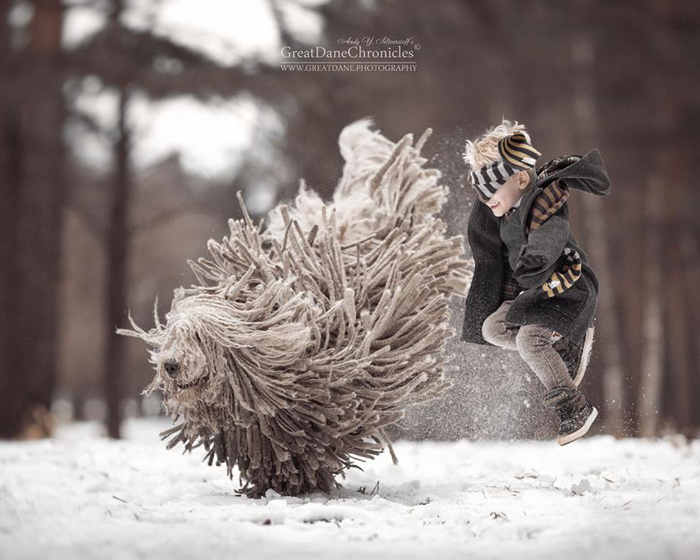 A guarding breed from the European region, they are known for their long, corded coat resembling dreadlocks. Even Mark Zuckerberg’s dog ‘Beast‘ is a Hungarian sheepdog. When captured in their full glory, they look absolutely stunning! 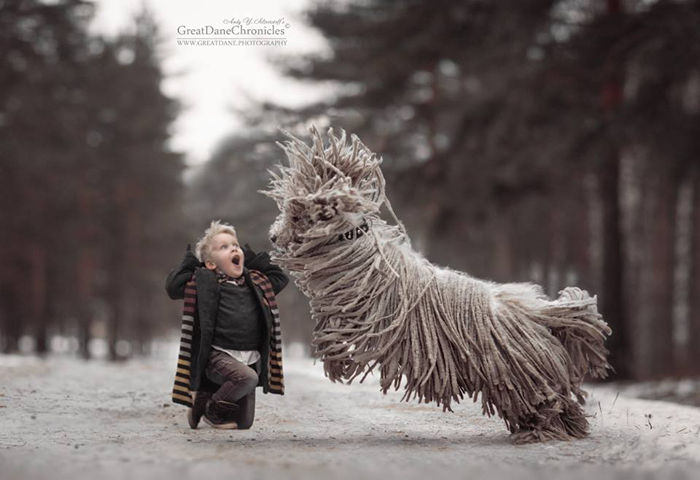 Photographer Andy Seliverstoff is fond of big dogs and has created a series called ‘Little Kids and their big dogs‘ capturing the magnificent beasts with little kids in and around St Petersburg, Russia. 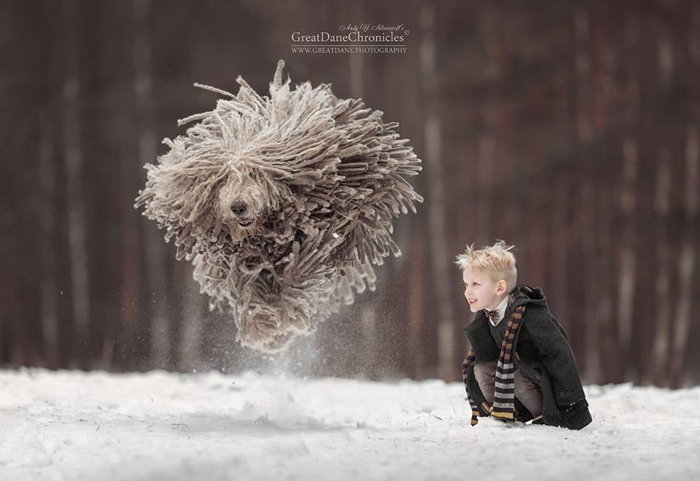 Here are some pictures from Andy’s collection that feature the amazing Hungarian Sheepdog playing in the snow with a little companion. Now I want a Hungarian Sheepdog!